MILWAUKEE — Absence, it’s said, makes the heart grow fonder. If that’s true, the Milwaukee Brewers are in love with tonight’s win over Clayton Kershaw and the Los Angeles Dodgers. It had been 11 days since the Brewers last tasted victory on July 10 in Miami. Along the way there had been three one-run losses — including a brutal late-game comeback by the Pirates on the final day before the All-Star break — and a general feeling of malaise from the fanbase, no doubt in part because of the post-All-Star break losing streak which occurred in 2017. And after losing six straight games heading into the four-day void, Milwaukee lost its first game back at home to open the traditional second “half” of the season. The offense showed signs of life late, ending up with four runs on nine hits, but it still was another tally on the wrong side of the ledger and came with the Dodgers’ ace southpaw looming on the next day’s horizon. Tonight began about as poorly as one could fear with Brewers starting pitcher Chase Anderson on the verge of a disastrous first inning. Anderson would load the bases not once, but twice with two outs somehow allowing only a pair of runs when Dodger centerfielder Chris Taylor singled home a pair the first time. Anderson would escape the inning on his 43rd pitch and with Kershaw waiting in the on-deck circle. The lefty instead came to the mound for the bottom of the first inning and promptly struck out all three Brewers All-Star hitters in order. Danger, Craig Counsell, danger! It would get better for the home nine. The two runs Anderson allowed in what has by far (7.11 ERA in 19 starts entering tonight’s game) been his worst inning this season (“My kryptonite,” as Anderson himself termed it after the game) would be the only runs scored by the Dodgers on the evening. Anderson locked in and ended up retiring 10 Dodgers in a row. The Brewers offense got one run back along the way in the 2nd inning. Counsell, the Brewers manager, tried to squeeze one more inning out of his starter in the fifth but it did not work. Anderson allowed the first three hitters to reach base safely, including a four-pitch walk drawn by Kershaw to open the inning. With his pitch count over 100, Anderson gave way to the bullpen in the person of Corbin Burnes, one of Milwaukee’s top prospects. Burnes got a gifted out when Kershaw broke for home on a would-be wild pitch that didn’t get far enough away from Catcher Erik Kratz. “I think the key was getting that first [out],” Burnes said. Then, with second and third with one out, Burnes finished off a strike out of Matt Kemp and got Max Muncy to fly out to left to end the threat. “We were able to get out of that, it was a big momentum shift and turned that game over,” Burnes stated in the clubhouse. 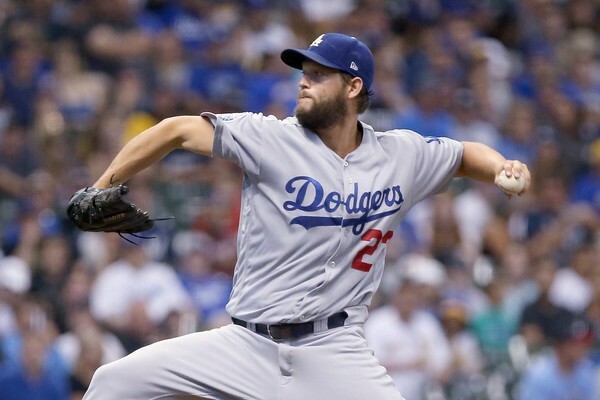 With a 2–1 score in the Dodgers’ favor at that point, the Brewers bullpen was tasked with continuing to hold serve to let their offense continue their uphill climb against Kershaw. The sixth inning saw Milwaukee score three runs to take the 4–2 lead that would be the final score. Kershaw’s first pitch of the 6th inning resulted in a game-tying home run off the bat of Christian Yelich. Ryan Braun doubled with one out and later scored on a fielding error charged to Dodger third baseman Max Muncy. 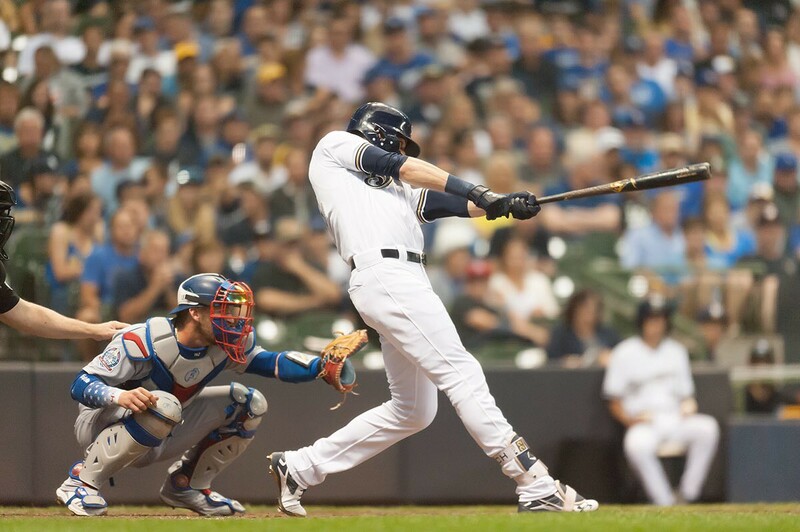 The player who reached base on that error, Brewer second baseman Hernán Pérez, would also score as Milwaukee right fielder Keon Broxton tripled as the next batter. The Brewers finish their series with the Dodgers tomorrow before welcoming in the Washington Nationals for a three-game set. They then hit the road on a west coast trip. Milwaukee is more than ready to get healthy and get back to their winning ways of all but one week of the season’s first half. Following his team-high 12th Save of the season, Knebel summed up the collective thoughts nicely about tonight’s win and the exhale felt ‘round Brewer Nation.